Want a "fun and colorful way to teach and encourage young students about healthy eating"? SN Secret Shoppers found an answer in the Power Play'te program from Power Fresh Kids, LLC. At the core of the program are paper plates that offer children a brightly colored reminder that half of their plate should be filled with fruits and vegetables. Participating schools choose (at least) one day a week as Power Play'te Day. Activities include morning announcements, lesson plans, a video, parent flyers and, of course, the paper plates. "It was a cute nutrition education program," cited one Shopper, pleased that the curriculum is free with purchase of the plates. In particular, she liked stickers that boast "I'm a taster, not a waster!" Another Shopper thinks this is a great tool that will catch the eye of youngsters. Reprinted with permission by the School Nutrition Association. Copyright 2014." Also, note that any additional use of this PDF for any other external purposes, such as inclusion in presentations or printed sales materials, newsletters, etc., is prohibited without separate permission approval; a fee for such usage will be assessed, depending on the stated intention. Contact snmagazine@schoolnutrition.org for additional permission requests. JV Smith Companies is dedicated to providing fresh, nutritious produce to our customers. We are committed to staying one step ahead of the industry by using innovative techniques to ensure the freshest, most nutritious quality product possible. Our company culture is one of teamwork, compassion, and opportunity. Because of this, our team stands behind our products and services. When working with JV Smith Companies, you are not only getting the freshest, most reliable product, you are also getting a passionate, loyal team that believes in our products and services. Schools around the country are dropping out of the federal government's lunch program amid complaints that students weren't eating the lunches. 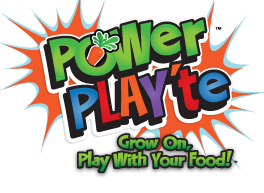 Thanks to a successful pilot year of the POWer PLAY'te program, children at 19 Yuma elementary schools are increasing their healthy food intake. Power Play'te program powers up. "You never hear anybody say, 'I'm getting fat on apples,' or 'Why did I eat that fifth apple?'" said Carl Myers, M.D., chief medical officer of Yuma Regional Medical Center, explaining the important of choosing healthy foods. Illustrated plate program boosts fresh produce consumption in elementary schools. YUMA, ARIZONA- When you think of cartoons and high school freshmen boys, you might visualize them watching television or reading a favorite comic book. But, one local boy likes to be on the other end of the pen and has put his creative energy into helping to combat a national epidemic, childhood obesity. Nathan Reichman is the son of John and Monica Reichman and a student at Cibola High School in Yuma. His passion for illustrations started when he was a young boy and he would spend hours drawing and doodling. Now that doodling is helping kids learn about fruits and vegetables and eating healthy. YUMA, ARIZONA- Yuma has long been known as the vegetable capital of the world. Thousands of acres of leafy greens and assorted vegetables have been growing and sustaining this community for years. Jane Johnson, School Nutrition Director of Crane Elementary District reflects on her experiences with Yuma school food service, "I think we were ahead of the times by establishing a fruit and veggie bar back in the early '90's. Who knew back then that there would be a mandate for fruits and vegetables?" Who said eating isn't fun!? YUMA, ARIZONA- Yuma has long been known as the vegetable capital of the world. With the nation's health epidemic in the daily news, it is becoming more evident that if consumers would eat more of what Yuma is growing, child obesity and alarming health statistics could change for the better. Zata Vickers, PhD with the University of Minnesota, conducted an experiment involving measuring senses and experiences to answer the question as to "why do we like fruits and vegetables." She provided a presentation at the Produce Marketing Association's annual food service convention. The POWer PLAY'te program in Yuma schools is not only growing a new incentive for Yuma kids to eat healthier, it is giving local grower Vic Smith an opportunity to improve our community. For those that know Vic Smith, this comes as no surprise.